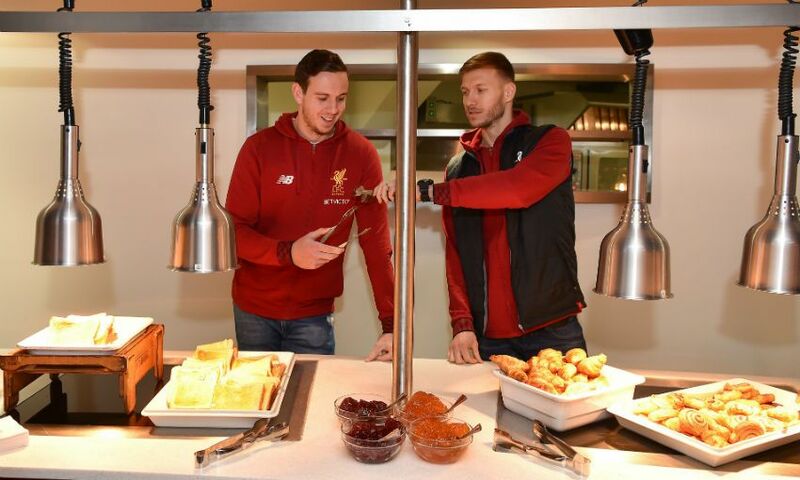 A number of local families will attend Red Neighbours’ free half-term breakfast clubs at Anfield this week. 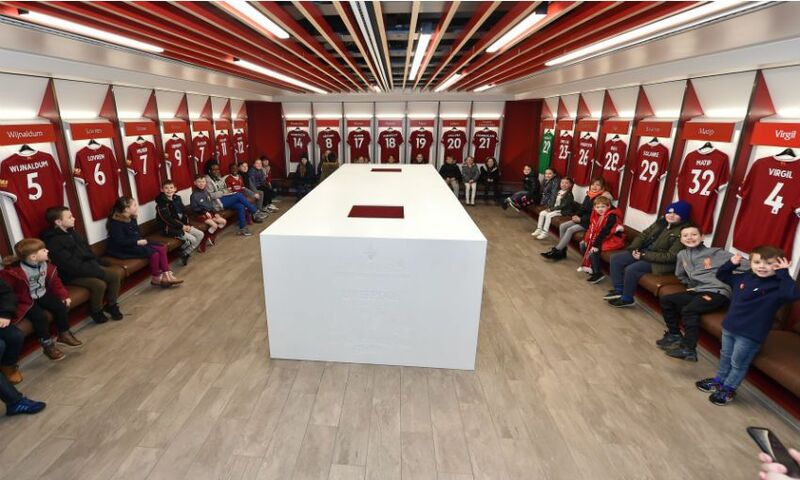 A total of 300 guests from local primary schools and community groups will be welcomed to the stadium throughout the week by LFC’s Red Neighbours team. 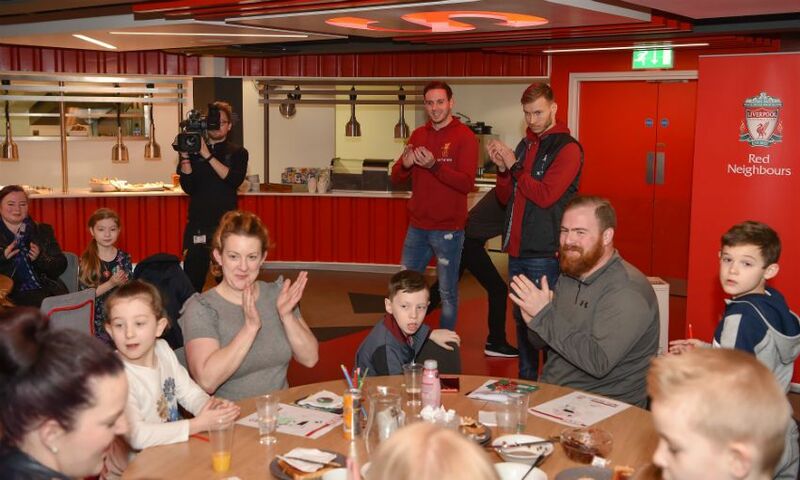 All guests attending the five breakfast clubs will be greeted by the club’s mascot Mighty Red on arrival before enjoying a delicious breakfast and embarking on the new stadium tour. 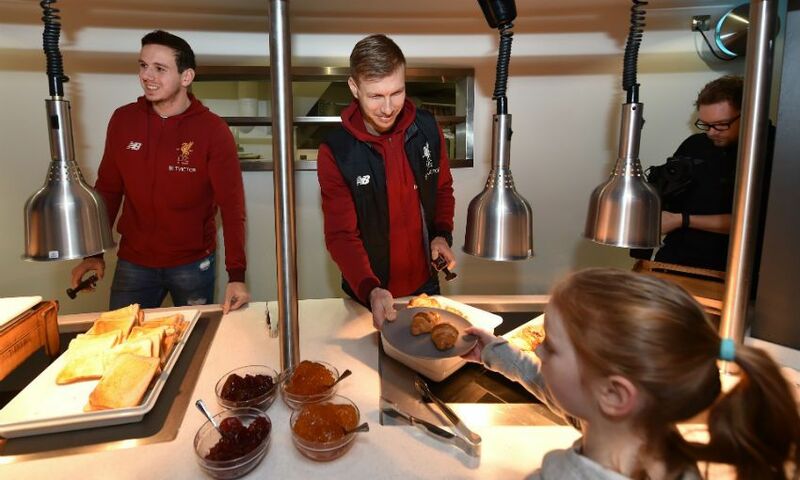 Ragnar Klavan and Danny Ward took time out to attend Monday’s breakfast club and lent a hand with serving the food, met the children and their families, signed autographs and posed for pictures. 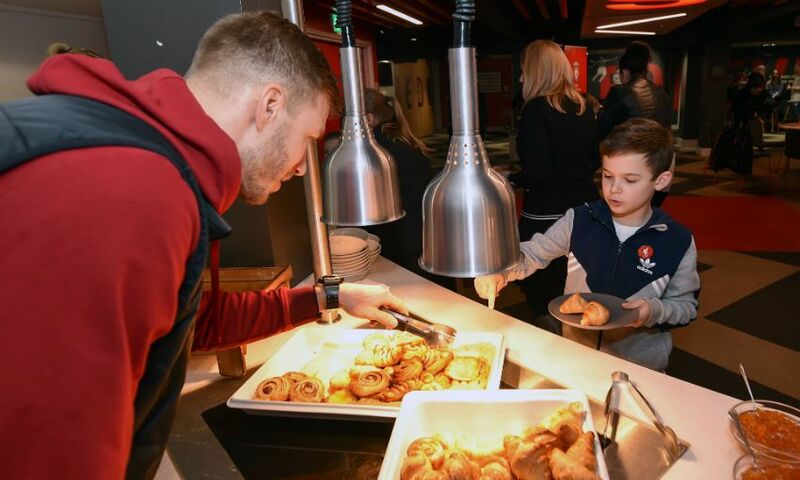 Food poverty and education is one of the key areas of focus for the Red Neighbours programme, with a variety of activities and events taking place in the local community throughout the year. 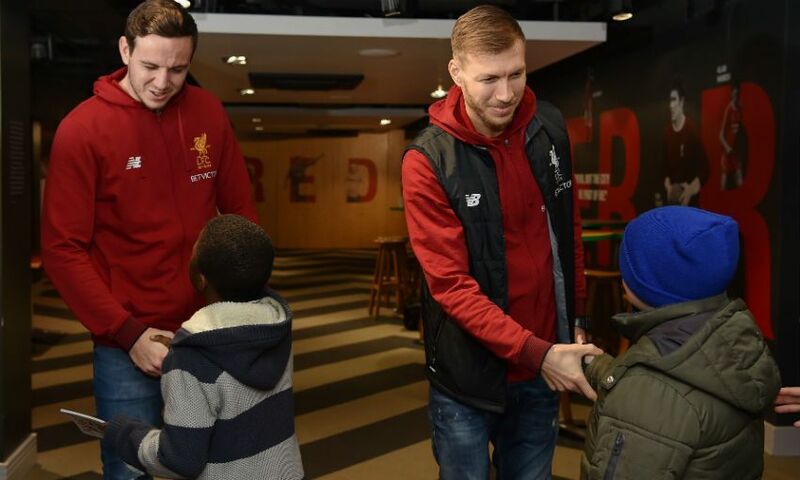 The other three pillars that the Red Neighbours team centres its activity on in and around the Anfield area are - creating memorable experiences for young people; support for the elderly community and encouraging a physically active community. 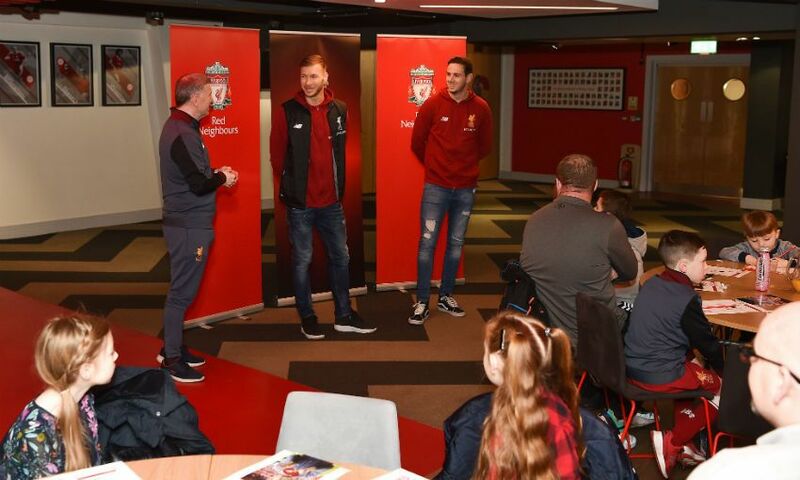 LFC’s official family partner, Joie, is also lending its support to the week-long activity by providing a range of gifts for all those attending and Joie products and LFC store gift vouchers for the daily raffles. A selection of images from today’s event can be viewed below. For all the latest Red Neighbour updates follow @Red_Neighbours on Twitter.